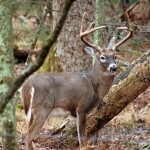 John’s Note: Sooner or later, if you love to be in the outdoors, and work and play in the outdoors, you’ll probably get hurt, because outdoor people tend to push the limits. They climb mountains too high, swim rivers too far, go up trees too tall and/or ride mustangs too wild. 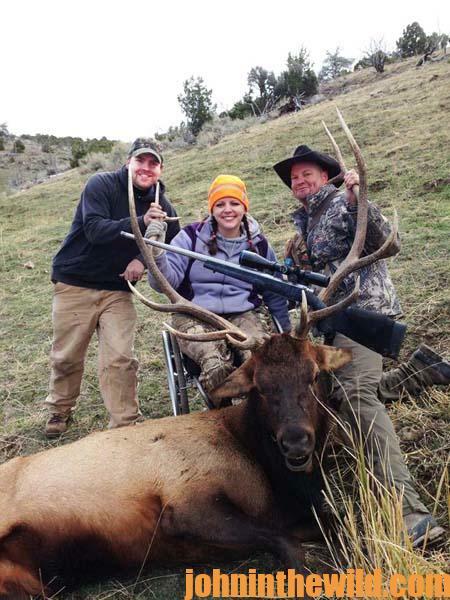 When outdoors people survive tragic accidents, some give up, while others fight back, reinvent themselves and become more than they ever may have been before their accidents. 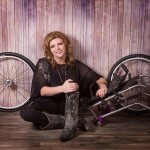 We all love the stories of people who have overcome disaster to find the true greatness in us all, and such is the story of Ashlee Adkins Lundvall, who was born and raised in Indianapolis, Indiana. She was a true 6-foot, 2-inch Hoosier girl who played volleyball, basketball, fast pitch softball and slow pitch softball. With her outgoing personality and good looks, she had a very active social life, had a boyfriend and was living the dream of every high school teenage girl. After finishing her sophomore year with big plans for her junior year in high school, Ashlee went for 3 weeks to Cody, Wyoming, where girls from all over the county came to this working ranch. All the girls had chores. After the chores were done, they enjoyed horseback riding, backpacking, rodeoing and other fun activities. 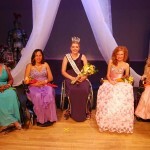 But while there, Ashlee suffered a T12 vertebra spinal cord injury in 1999 that left her in a wheelchair. 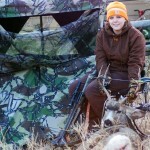 This week we’ll learn how Ashlee’s injury led her to enjoy the outdoors even more. Before my accident, my dream was to graduate from high school, go to college, study pre-med, get accepted to medical school and become an orthopedic surgeon. Because of my competitive nature and willingness to push myself, I used what I had learned from sports to push myself to try and become what I wanted to be – an orthopedic surgeon. After graduation from high school, I started college as a pre-med major. But I discovered quickly that I was trying to become an orthopedic surgeon for all the wrong reasons. I had taken on the challenge of the medical profession just to prove to everyone that I still could be an orthopedic surgeon. I’ve always been a person who if someone tells me I can’t do something, those words will make me want to do it even more than I’ve wanted to when I’ve started out. I’ve learned a lot from my accident. After my first semester in college, one of the things I learned was that often to survive, you had to reinvent yourself. I still believe I could have become an orthopedic surgeon. But when I began to look inward and ask myself why I had chosen this career path, the medical dream didn’t look the same as it did when I was able-bodied. 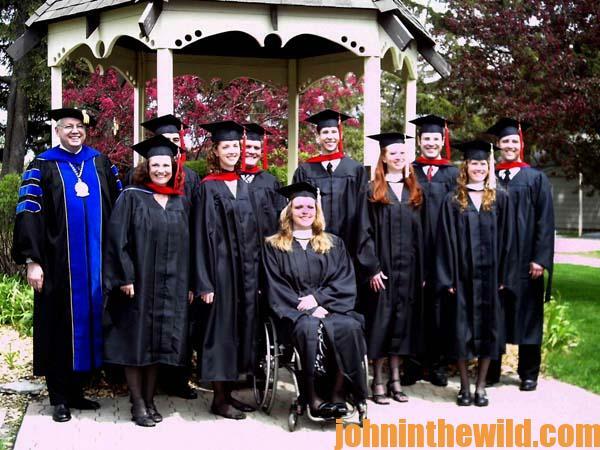 Then since I understood what life in a wheelchair was like and knew so many places that weren’t accessible, I decided to go to law school, get a law degree and shut-down every business that wasn’t accessible to people in wheelchairs. However, after considering this new career path of law, I realized if I became a lawyer and attacked the world, although I probably would make a lot of money, once again, I’d be going into a career path for all the wrong reasons. So, I began to think about what would’ve really helped me after my accident. What was the most-important thing I wanted to know? What would have helped me come out of my depression and be able to see that my world had changed, but that it hadn’t necessarily changed for the worst? I decided that one of the biggest things missing after my accident was that I didn’t have anyone who had been through an injury like mine I could talk to who could help me understand how to get through everything related to my injury, although my friends were great, my family was wonderful, and my doctors and nurses were terrific. So, I started looking into different counseling programs to learn what would be required to get a master’s degree in counseling, and especially what I would have to do to get a master’s degree in biblical counseling, since my faith was so important to me. I thought that becoming a counselor and being able to use my faith were what I wanted to do and what I needed to do. I thought that being trained to talk to people who had injuries similar to mine and being able to help them deal with the issues they might have might be just what I needed to do. I would’ve loved to have had a counselor in a wheelchair like me – someone who could help me deal with everything. I wanted to be that person who could look an individual in the eyes and say, “I know what you’re going through, because I went through the same thing.” And, because I was in a wheelchair just like them, they would understand that I did know what they were going through, and I could help them. I received my undergraduate degree in public affairs and civic leadership, because I thought I could serve and be helpful in my community without narrowing down my career choices. In 2007, I got into a master’s degree program at Maranatha Baptist College, which meant I’d have to move away from home. For the first time since my accident, I would have to live totally independent. As I was taking my counseling courses, I realized that to be an effective counselor, I just couldn’t totally counsel the person who had been through the accident or the bad diagnosis. I had to be ready, willing and able to counsel with family members and friends, answer questions and offer solutions to problems they might have in dealing with their loved ones’ situations. I learned that counseling for family and friends could help bring complete healing after a tragedy. Learning how to integrate my faith into some basic counseling practices was one of the major new discoveries I made while studying for my master’s degree, because my faith was very important to me. Going into a patient’s room after a traumatic accident and saying, “Hey, you’re going to be fine. I’m living proof,” wouldn’t work. Instead I had to learn how to walk people through all the different stages of emotions that they would go through after a severe accident. I also learned how to counsel the families of people who had had major injuries or accidents. As I learned how to become a biblical counselor, I also realized that everyone came from various backgrounds and different places of understanding. In my master’s program, I learned how to be more compassionate, and I learned there was more than one approach that a counselor could use to help other people. For more inspiring stories get John E. Phillips’ Kindle eBooks, “Courage: Stories of Hometown Heroes,” “Moving Forward: Stories of Hometown Heroes” and “The Briar Patch Philosopher” (also available in print). Click here to get these books.